Posted March 7, 2018 by Caroline Preece & filed under Headlines, News. 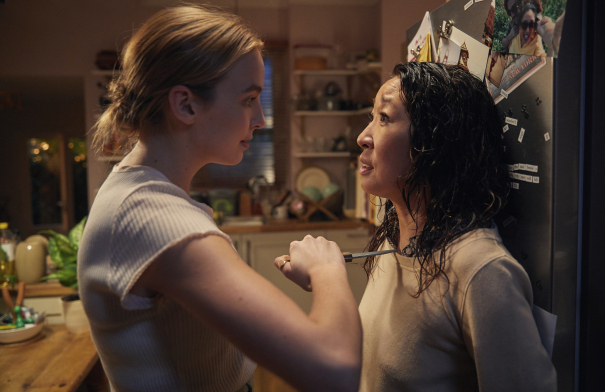 The first trailer for Killing Eve, the upcoming thriller from Phoebe Waller-Bridge and starring Sandra Oh and Jodie Comer, has landed online, as the BBC confirms it has the UK rights to the show. In the programme, Comer’s ‘psychopath’ is confronted by the titular Eve (Oh) about her past, and we get a glimpse of the ‘cat and mouse’ game that will develop over the course of the series. The BBC has announced that it will show the programme in the UK on BBC One, before release it as a boxset via its iPlayer/BBC Three service. 16/01/2018: We have our first look at Killing Eve – the upcoming thriller from Phoebe Waller-Bridge based on the novellas by Luke Jennings. The sneak peek comes from BBC America at the Television Critic’s Association event currently taking place in the US. 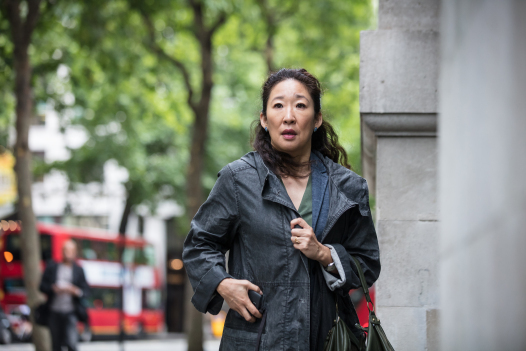 The images show series stars Sandra Oh and Jodie Comer in action. The show will follow Eve (Oh), a bored MI5 security officer whose desk-bound job doesn’t fulfill her fantasies of being a spy. 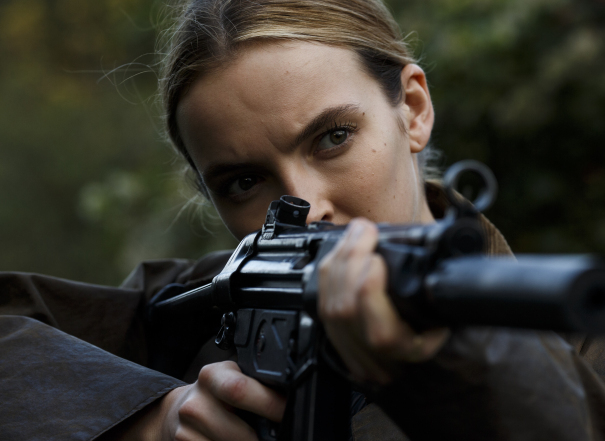 Villanelle (Comer), on the other hand, is a talented killer who clings to the luxuries her violent job affords her. These two fiercely intelligent women, equally obsessed with each other, go head to head in an epic game of cat and mouse. Fiona Shaw, Kirby Howell-Baptiste, Kim Bodnia, David Haig, Sean Delaney, and Owen McDonnell also star. Killing Eve season 2: behold, the final trailer!